You all thought I spelled pickle wrong didn’t ya? Well, that’s not the kind of pickle I was talking about! 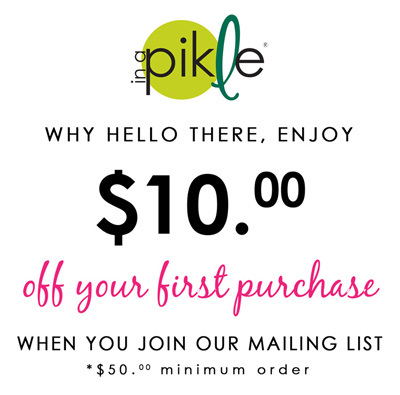 I’m talking about these pikles!In a Pikle is a fun little purse insert that has literally everything you would ever need when you are in a jam! They are so handy and fun and CUTE! I LOVE mine and have already used it a ton in these past 2 months that I’ve had it! It has everything from a notebook and pen, to a sewing kit and screwdrivers! It’s amazing! I got mine from my wonderful Momma for Christmas! I had NO idea what it was when I opened it, but when she explained it, I thought it was genius! With that and my Picket Fence Planner, I feel SO organized! Which is a big deal for me!